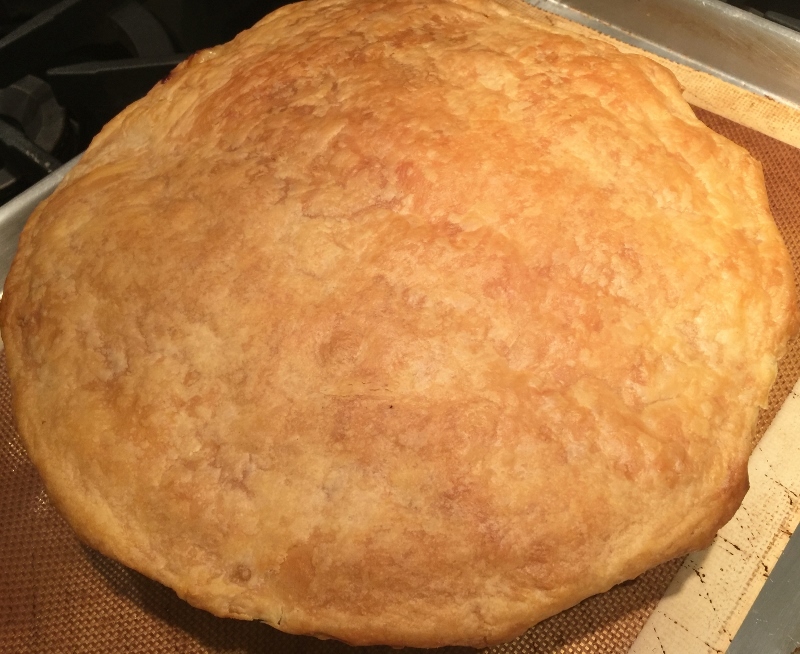 Seafood Pot Pie - Recipe! - Live. Love. Laugh. Food. 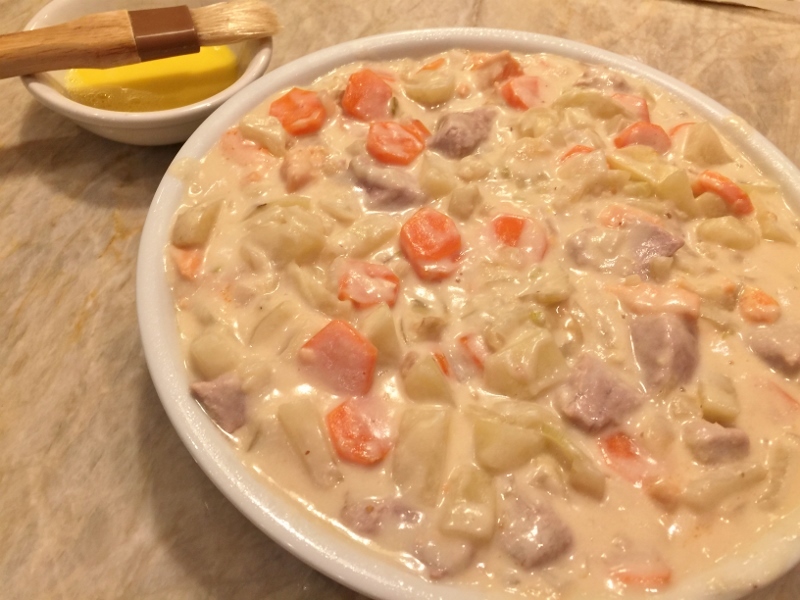 Seafood Pot Pie – Recipe! 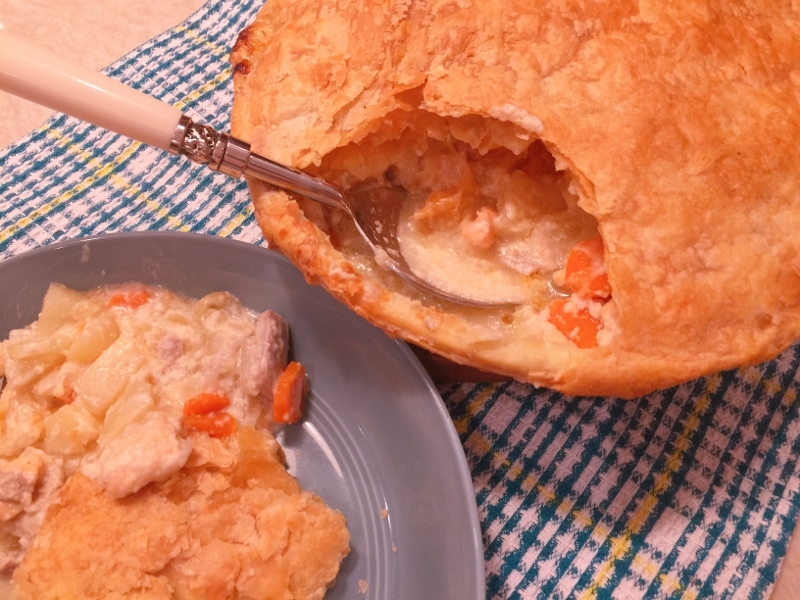 Pot Pies are a very popular comfort food because they warm your senses and leave you wanting just one more bite. 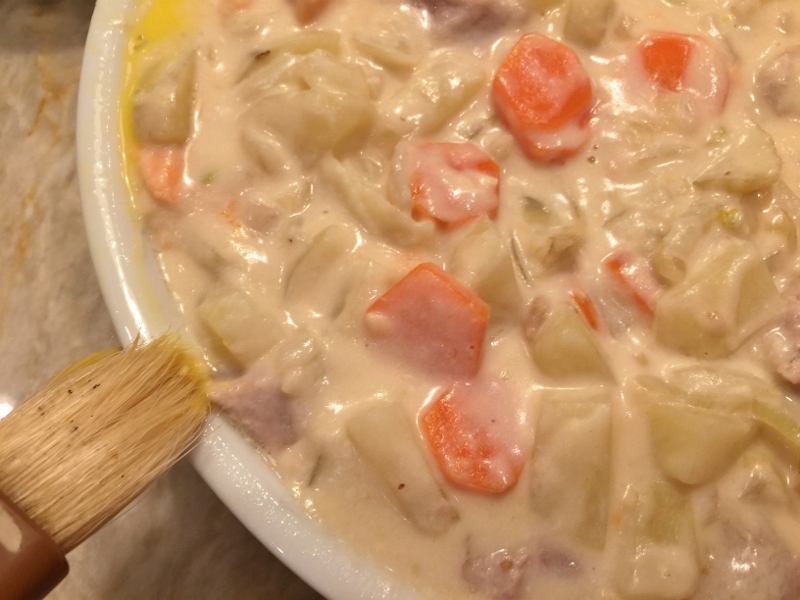 I have seen pot pies made with all kinds of ingredients from chicken to quail and gamier meats such as venison, wild boar and rabbit. However, some of the best pot pies I have eaten have seafood inside. 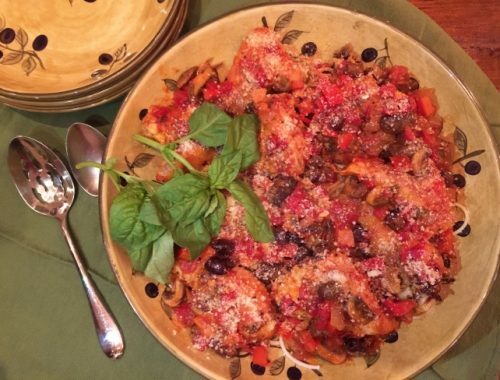 Making a savory pie interesting usually involves a combination of protein and vegetables. For those of us that have an excess of frozen vegetables, here’s the place to unload. Peas, corn, soy beans, spinach and green beans are all wonderful additions to a pot pie. 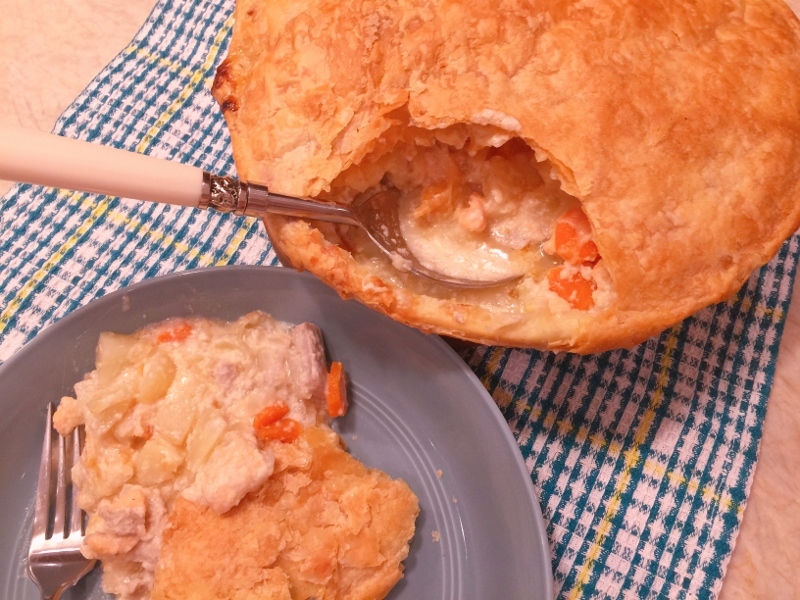 In this recipe for Seafood Pot Pie, I used two different kinds of fish to give this pie a ocean fresh taste. Salmon and tuna were my fish of choice, but shrimp, halibut, cod or any firm white fish work beautifully. 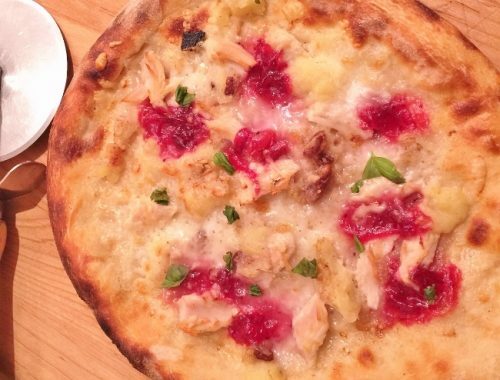 If you want to really impress, lobster is amazing in this recipe especially under a lightly crunchy crust. 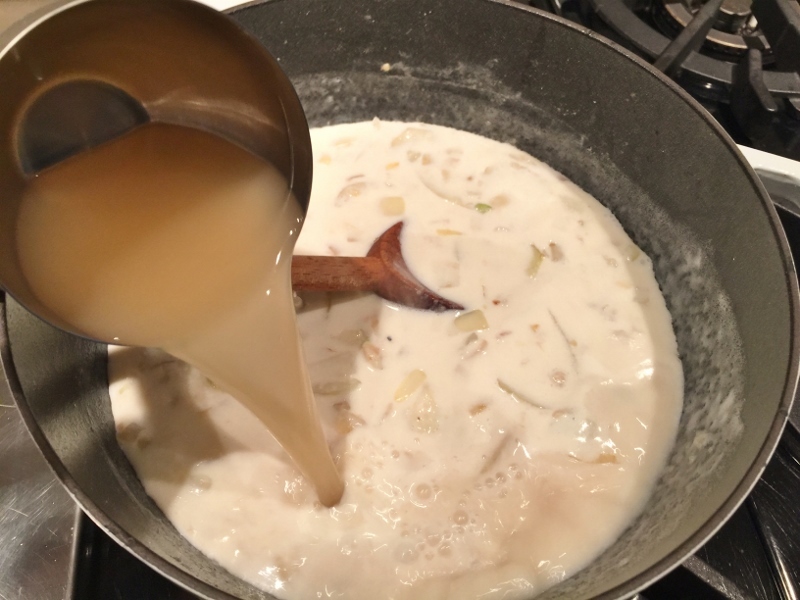 The cream sauce is basically a bechamel, roux (butter and flour) mixed with milk and a splash of cream. Gently fold the fish and veggies into the sauce and let cool slightly, before topping it with store-bought puff pastry (it keeps the pastry cold until it goes into the oven). This Seafood Pot Pie is great to serve family-style – place it on the table for a real show stopper. Also, you could bring it to a potluck, just reheat it in the oven before serving. 1. Preheat oven to 400 degrees. Slice the onion and carrots. Peel and finely dice the potatoes. In a large Dutch oven, add butter and place pot over medium heat. Add onion and saute for 4 minutes, until translucent. 2. Add flour and stir. Cook for 1 minute to remove any raw taste from flour. 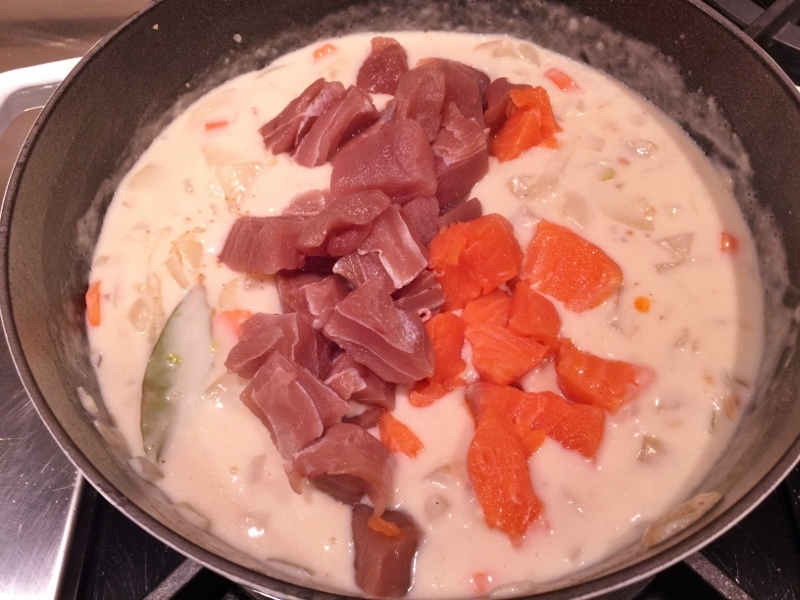 Add milk, broth and cream, stir. 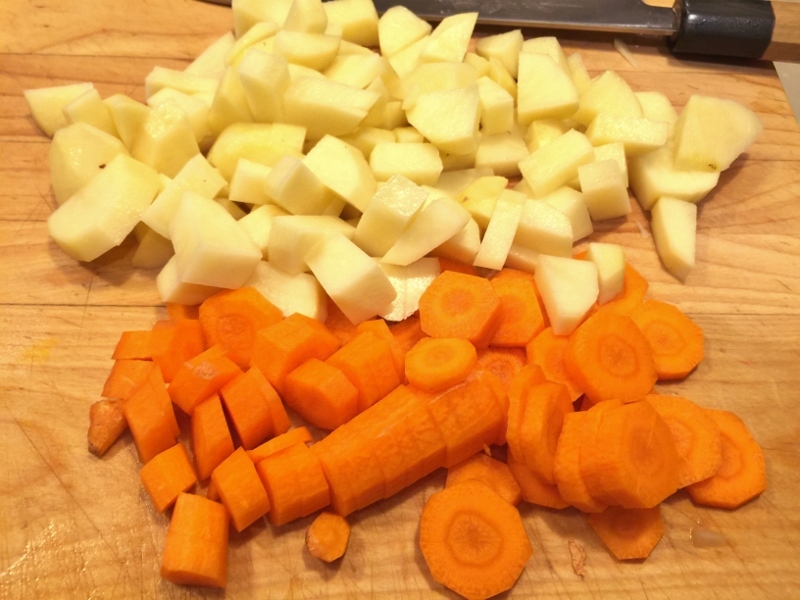 Stir in carrots, potatoes, peas, greens beans and add bay leaf. 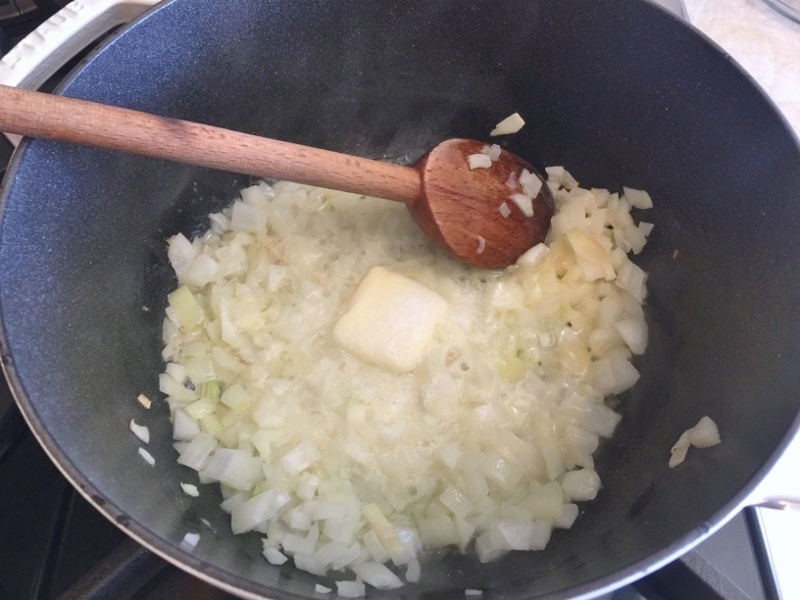 Continue cooking, for 5 minutes, while the sauce slightly thickens. 3. 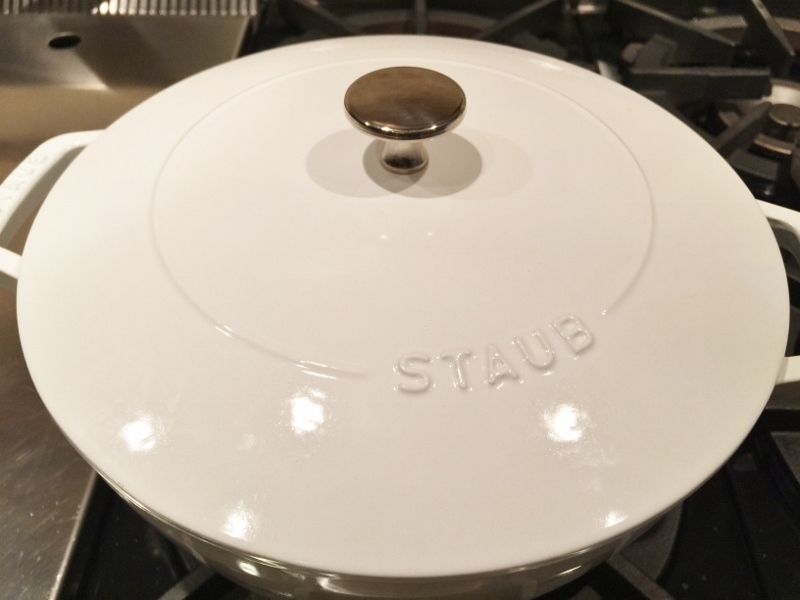 Turn heat to simmer and place a lid on top and cook for 12 minutes. Stir in diced seafood and 1 1/2 teaspoons salt and 1/2 teaspoons black pepper, turn off heat. Let mixture cool for 20 minutes. 4. Pour seafood filling into a pie plate. In a small bowl, whisk egg with a teaspoon of water and brush around the edges of the pie plate. 5. 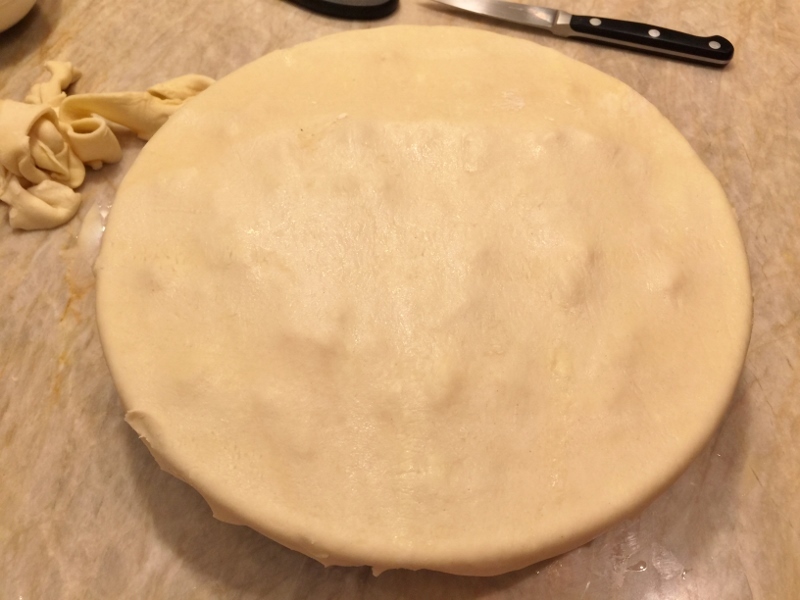 Place puff pastry sheet over filling and trim edges to hang over rim by 1-inch, press to adhere. Brush top with egg wash and place on a sheet pan to bake in the oven for 35-45 minutes, or until lightly golden brown. Let stand for 8 minutes before serving. Enjoy! 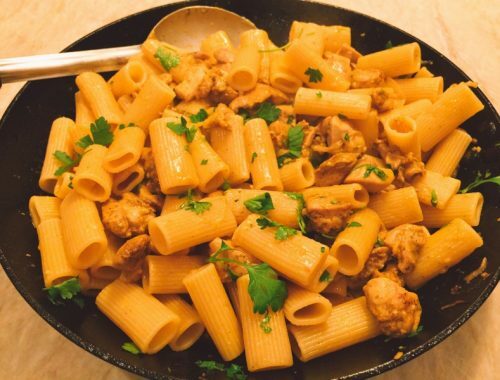 Chicken Shawarma Rigatoni – Recipe!